How to Become a Forensic Scientist in Illinois? How much does a Forensic Scientist make in Illinois? 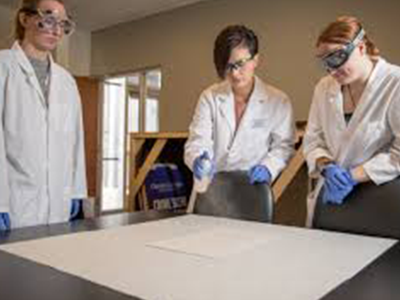 Forensic Science is considered to be an integral part of the criminal justice system, with forensic scientists working in collaboration with other law enforcement agencies to fight crime. The work is highly scientific in nature and requires a lot of training and education. The state of Illinois currently has 610 forensic science technicians, making the state one of the biggest employers of forensic science technicians in the US. So if you are interesting in joining the field in Illinois, here is all the information you would need on how to become a forensic scientist in Illinois. Steps to Become a Forensic Scientist in Illinois? Most forensic science jobs would require you to have at least a high school diploma followed by a 4-year bachelor’s degree. You may major in any of the natural sciences or even in forensic science. At the high school level, you are advised to take up subjects such as physics, chemistry, biology or anthropology. Having a sound knowledge of the basic concepts relating to these subjects would help you create a foundation that would help you later on. Even if you don’t major in forensic science, you are advised to take up courses in biology, genetics, microbiology, organic and inorganic chemistry. You may also be required to complete a series of lab courses at this level. While this is not a requirement for most forensic science entry level jobs, having a graduate degree – a master’s or a PhD can surely help you set yourself apart from other candidates. In addition to that, competition for jobs in the field of forensic science is very stiff. The number of new jobs does not come as fast as they do for other occupations, so you would really have to fight for the position you want. According to the US Bureau of Labor Statistics, most forensic science technicians have a bachelor’s degree, along with a master’s degree. So do consider getting one. You can look for employment in any of these labs in various capacities. Keep in mind that no matter where you get hired, you will be required to complete a training program. This may last anywhere from a few weeks to more than one year. The duration of the program would be largely dependent on your employer and the requirements of the position you are hired for. There are multiple organizations around the country that offer certification options for forensic scientists. For instance, The American College of Forensic Examiners International offers the Registered Investigator (RI) credential. To be eligible for this exam, you ought to be at least 21 years old and must have a bachelor’s degree, a clean criminal record and at least two years of experience. The exam will test you on your understanding of crime scene processing, handling of evidence, various kinds of investigations and interrogation methods. Another option for certification can be through The American Board of Criminalistics (ABC), which offers the Diplomate of ABC (D-ABC) and Fellow of ABC (F-ABC) credentials. To be eligible for these, you will need a bachelor’s degree in a natural science, along with two years of lab experience in a specialty related to forensic science. In addition to that, you will need passing scores on a specialty and a proficiency exam. Specialty areas for both these certificates include the likes of trace evidence analysis, molecular biology, debris analysis and drug analysis. The International Association for Identification is another institution offering certificate programs in forensic science. It offers eight different types of certifications, including forensic photography, footwear and bloodstain pattern examiner, forensic video, etc. Each of the eight certifications has its own set of requirements and its own exam. Most of them require several hundred training hours, along with a complete professional portfolio and some job experience. According to the US Bureau of Labor Statistics, forensic science technicians in Illinois made an annual mean wage of $79,630 in 2017. This figure is significantly higher than the national mean wage of $61,220.